Let’s face it – today is the generation of social media, gadgets and accessible high end digital images at every corner. Digital point and shoot cameras, entry level and high end cameras are easier to find now compared to five years ago. Even mobile phones, tablets, laptops and computers at home can even have great cameras connected to them. You can take a snapshot of what you are doing or where you are anytime, anywhere. What’s more, with the integration of connectivity and the internet to almost all gadgets and digital items, photography enthusiasts as well as photographers have easier access to everything they need. If you are a photographer or a business owner with a company related to photography, having a mobile app dedicated to your photography business is one of the greatest ways to get you noticed on the internet and receive massive amounts of traffic. It can also help you connect to your community and social group on the go. Building and acquiring an app is now easy with appsbar.com. 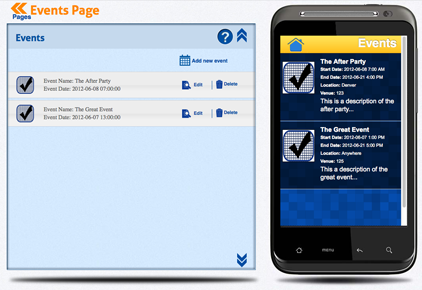 With appsbar, you can create and build an app for Android, iPhone, Blackberry and Facebook. Appsbar.com offers you an app with pre-set pages that you can customize. You may also add more pages if you like. The app can be created to look and feel just like a one stop shop. Imagine a place where you can check new photography tips, get updates on new releases of cameras and photography as well as a place you can access social networking sites, find contact details, upload photos and edit them, put personal touches on photos and a whole lot more in just one application right at your fingertips! Amazing, right? If you want that, then appsbar.com can be a tool to get you there. Here are some of those important pages that an app should always have to fit what you need. Contact page is the main page where everyone will go to so that they will have information on how to get connected to you. This is required in your app so it is easier for you to be reached and that your clients may know that you are there to help them when they need you. It may contain your website address, your customer service form, phone numbers and complete address of your location. A lot of smart phones allow touch dialling these days so it is easy for them to get connected to you. This page will be just like your own social media community. What’s more is that it will also be connected to your real social media accounts in just a few clicks. Since all of us have already spent a lot of time making our social media accounts and keeping it active, having an app that would allow and simplify updating social media pages makes a lot of sense. You also have the option to choose which social media sites to get connected to or even those that are not on our list! For example, Google+, Twitter, Facebook and Linkedin. Appsbar.com’s amazing app creator lets you make applications just the way you want it, even without a degree in computer science or any technical course. You can add a rewards page for your clients for them to get codes and coupons so they will get back to you the next time. You can also use these mobile coupons to give them special discounts, freebies and more! This will surely help you in building your client base as people want to be appreciated by their favourite brands too. Appsbar.com also allows you to create your app with a page where you can input your events and update them, so your fans and photography buddies can know what is happening soon and where it will happen, just because they checked your photography app. Your photography mobile application can then be downloaded and accessed by anyone interested in photography and become a contributor to photography tips and enhances skills with forums found in your app. If you are a photographer and a businessman, then this page will greatly boost your advertising project and will help you get noticed by a wider market of people. Having the services you offer such as wedding photography, events photography, and photo booth included in your app makes your visitors know what you can offer and will surely try you out! This is a page in your app that your clients can use to send you some questions and any concerns. When a client fills out a form in this page, it will be directly sent to your email in which you can read and reply accordingly. You may also create questions for users to read and answer if you are looking for a survey right within your community. 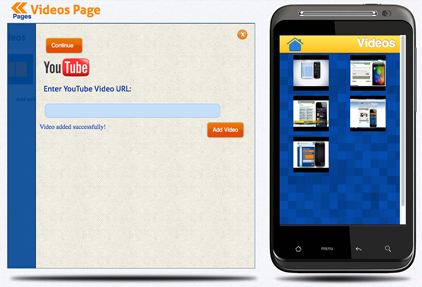 This page gives you the complete ability to upload and show videos right in your app. Clients need not go anywhere for them to get the grasp on what you are trying to promote, you can just upload videos for them to see how you are doing. Many individuals want to get more out of an app and showing that your app can play videos is a good thing for them. This page – we both know what this is all about. This is the page where you get to upload and showcase your work, especially because you are in the photography business. This page in your app may be your gallery or where you can lead your clients to see the works you have done that is offered in your Services page. This is the page where you shine. About page is one of the most vital pages in your app. One should not simply forget to put an About page in their business app. This page is the page where you put into words who you are as a company and what your company is about. This will show the people of your history, your vision and all there is to know about you. In addition, you may also add more pages to your app so you get to have the most awesome app in the photography world. This can only be created appsbar.com with their help. Moreover, you as the owner of the app are allowed to give in your designs and input your ideas to make the best photography mobile app for your needs.